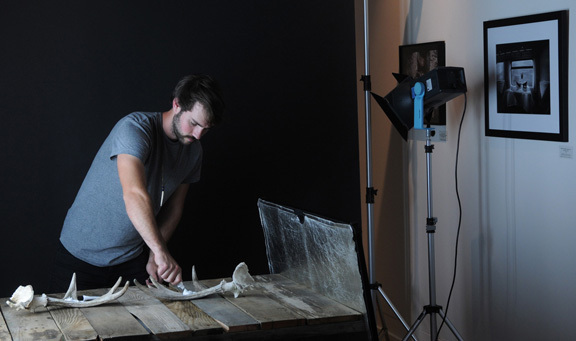 Former student Jeff Bartlett has posted an interview with his fellow former Western Academy of Photography classmate Micah Escamilla. Jeff is in Argentina and Micah is in California. You can read the interview here. Micah mentions former instructor, and now Luz Gallery maestro, Quinton Gordon as an influence for the classes he taught, she mentions me for inspiring her to set up drink nights for photographers. Who’s the better influence, hmmmmm. The other day I was thinking about how culture is created. A big picture topic for sure but I was thinking more about little movements, little movements that have big consequences. The Beat movement for instance, Jack Kerouac, Allen Ginsberg and crew. A fairly small group overall but the even now when almost all the originals are dead the work they created is still read and the culture around them emulated. Vancouver is renowned in the art world right now but it started with a handful of photographers such as Jeff Wall, Ian Wallace and Rodney Graham. 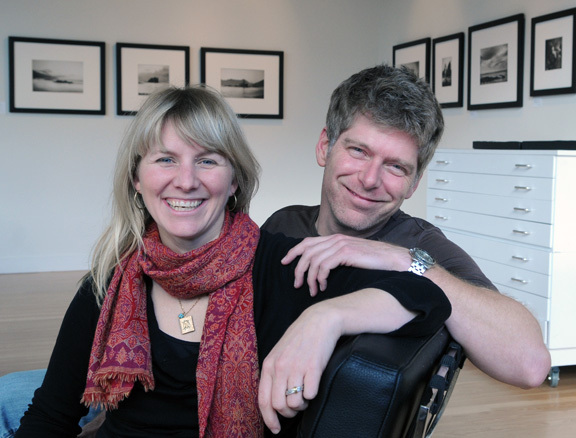 My friend Ian Ferguson recently moved to Victoria with his wife Kirsten Van Ritzen. They are both writers, actors, directors etc. Ian has teamed up with local theatre guy Les Bland and formed a tv production company. Ian has also formed a comedy improv troupe Sin City and Kirsten has started up a series of standup comedy workshops. These three people in a few short months have set the stage for the emergence of a culture of acting and comedy. I said to Ian a few weeks ago that in five years we could be seeing a whole group of actors and comics and it will all come back to three people. 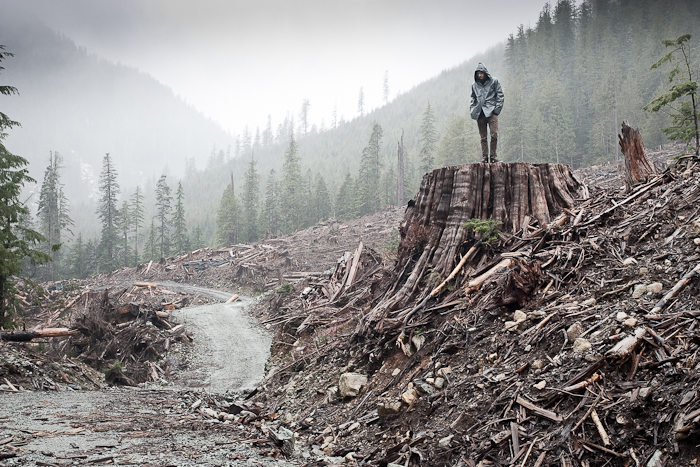 Two years ago photography was an afterthought at best in Victoria. There were (are) talented photographers of all stripes around but nothing to bring them together. One gallery, Dales, was showing photography on a regular basis but there was no single institution dedicated to photography. That all changed a year and half ago with two people Quinton Gordon and Diana Millar and the opening of their gallery and workshop space Luz Gallery. Luz has shown a variety of photographers and styles, they’ve held workshops with both local and out of town photographers. 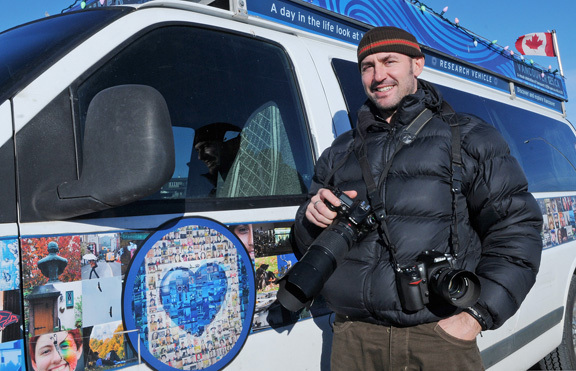 The results of all that have been a revitalized and energized local photo community. Victoria is now better known to other photographers and links have been forged with photo galleries and communities in other cities. Other local galleries are programming photography exhibitions. Local photographers are creating new work and booking shows. Again that all comes back to two people. Two people creating a culture. 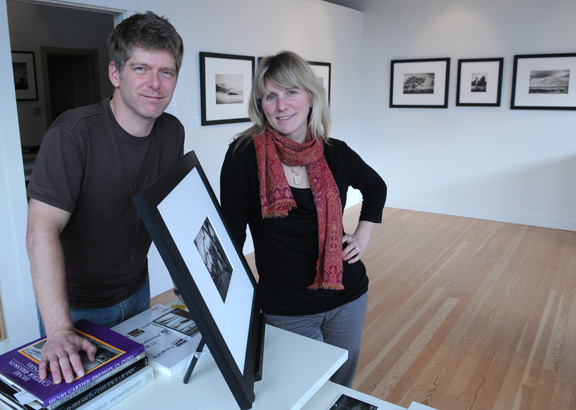 Quinton Gordon and Diana Millar are the owners of the Luz Gallery. That’s a pretty open question but in short Diana and I have combined my background as a professional photographer, artist and instructor with Diana’s experience in event planning and business management. We are both originally from Ontario but we met here in Victoria four and a half years ago, and when our daughter Molly was born almost three years ago, we decided to try to make Victoria our home. That decision meant looking at some creative solutions to achieve our career aspirations. 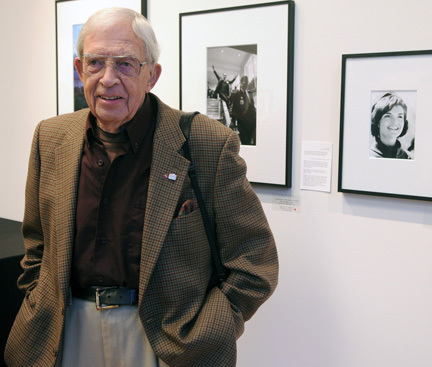 2) Why start an art gallery that features photography? For me the choice to focus on photography was easy, and for Diana it represented an exciting new challenge at a time when photography is really coming into it’s own within the international fine art market. 3) What was involved in creating the gallery? How much research did you do before actually making the decision to move ahead with your idea? Well, in many ways the research began 15 years ago with my first thoughts of creating a gallery and centre of photographic arts during a five month period of travelling and photographing personal projects. Then in 2005 I was inspired by my experience at the Manuel Álvarez Bravo Centre for Photography in Oaxaca, Mexico and in 2008 we made the decision not to move back to Toronto and that sparked a decision to see if we could create Lúz. We spent a year developing our ideas and looking at the range of photographic galleries and centres of photography around North America, but it was also a case of just forging ahead to realize our combined vision. 4) You’re much more than a gallery. You offer workshops, custom printing, sell photo printers and photo papers. Why do all that extra work? Wouldn’t it be easier to just concentrate on the gallery itself? Easier yes that’s an understatement! We have a lot of balls in the air each day but even if we limited our endeavours to just the gallery it would still be a lot of work. 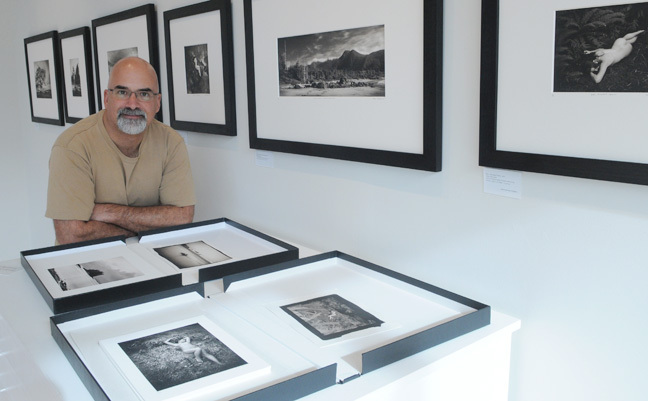 There are two very compelling reasons to be more then just a photography gallery. The first is tied to our vision of building a stronger local and international photographic community, and the second is economic, the business would not be sustainable without several revenue streams, and even with those in place we are working in a community of just eighty thousand. There is no question that this would be easier if we have a larger population base. 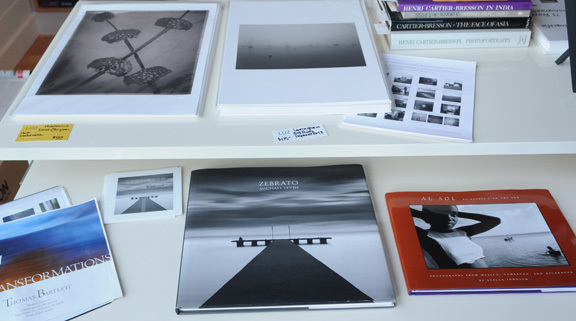 Establishing a credible fine photographic gallery in the international market takes a long term vision of at least three to five years, and locally the buying market for photography is only just beginning to mature. In order to support a successful business model we had to balance the interests of both collectors of photography, with practitioners of photography by blending the exhibition and sale of fine photography with courses, seminars and quality retail services such as our digital print studio and the Tricera / Epson store. 5) Why do you think workshops are important? We believe in the value of people learning and challenging themselves creatively and workshops are a great way to learn from a good instructor as well as from the other participants. This coming together of like minded people helps to reinforce the sense of community and we have seen how people who meet at our workshops continue to share ideas and communicate afterwards. 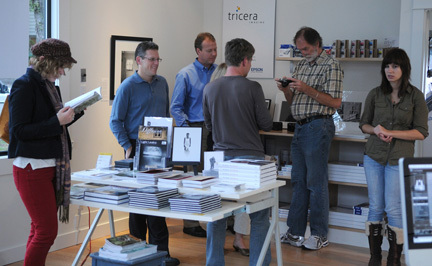 6) What has been the most important thing you’ve learned about running a gallery since you first opened? 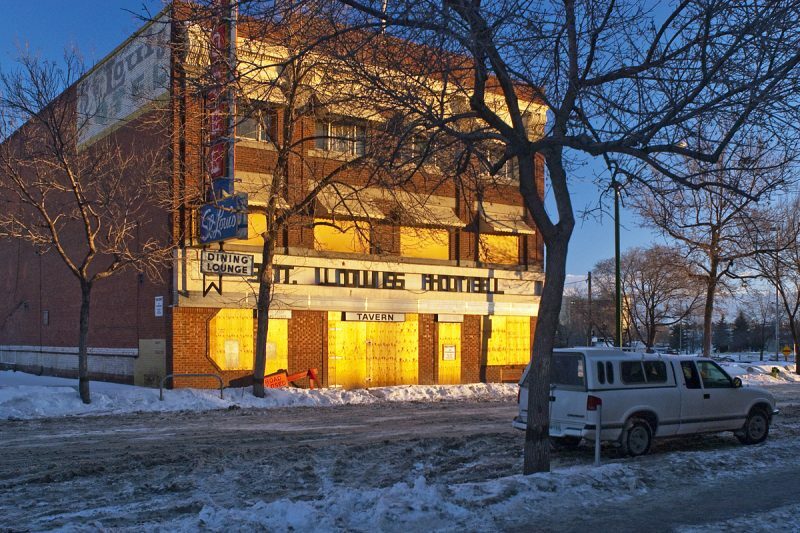 That despite being a new gallery in an out of the way city, we can be part of a larger community and that like most successful businesses here we have to reach out to that larger community. 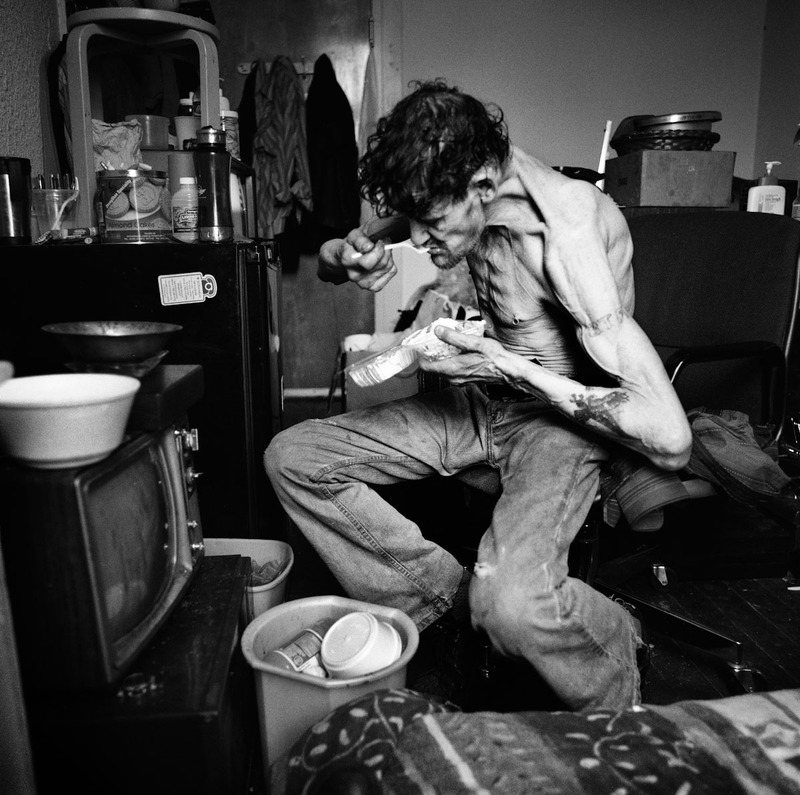 7) What advice would you give to a photographer wishing to have an exhibit with Luz? This is a great question because we get people contacting us all the time and we want to encourage this, but it is helpful if they are well prepared. Their starting point should be to read the submission guidelines published on our website. It is really hard when people just walk in off the street because as you pointed out earlier we are very busy running the various aspects of Lúz and as a general rule it is best if they introduce themselves by sending a submission package that includes their CV, a printed promotional piece, an artists statement and a carefully selected set of samples from the body of work they wish to show. Artists also need to realize that they need to develop a relationship with a gallery and that it takes time and effort to do so. The effort put in by an artist over time is part of the screening process. Rarely do things happen quickly for new artists. It can be different when we are approached by an established artist but even then we are planning well in advance. We make a significant investment of time, money and energy when we mount an exhibition and it means that artists need to show us that they are serious about what they are doing and that they are making a significant investment in their work. Naturally it is important that we like their work and that we feel we can sell their work to our clients. It’s really helpful if they have published a book as well. Book sales are out pacing print sales and this can go some way to helping us recover the investment made in the exhibition. Our exhibition calendar is scheduled roughly a year at a time and we try to balance juries shows with solo exhibitions of work by both established and emerging artists. We have 2011 basically nailed down now and we are looking to 2012. Now that we are going into our second and third years, the gallery has a growing international reputation and we are attracting established names from the US, Europe and Asia as well as across Canada so the competition for exhibition space is getting more challenging. We do want to support local artists and our juried exhibitions can be a great way for newer artists to start working with us. We are trying to put out at least one call each year for submissions to juried group shows and these shows are very helpful for artists to have on their CV. 8) Can you talk about the idea of the gallery as a community centre for photographers? Here again you raise an important question. We are working hard to create a place where people can engage with photography through opportunities to see diverse work of a high calibre was well as a place to learn, and even a place to meet and connect with one another. As such it is significant that people understand that we don’t receive any government funding and that the cost of creating and delivering on what we offer is high. In order to keep our products and services affordable we set very tight margins on our pricing so if what we have created is valuable to the community then they need to support through purchases or even through donations made at our openings or events. 9) The gallery has led to some new opportunities for both of you. What are some of those opportunities? Part of our motivation in opening Lúz was to be able to live here in Victoria while continuing to engage with the international photographic community. From the outset we have been focused on our belief that there is a place for Victoria in the international photography market and through Lúz we have been able to meet and collaborate with people such as Donald Weber, Stella Johnson or Joni Sternbach along with many others. It is also providing us with more travel opportunities as we add destination workshops in locations that interest us. Diana has been invited to be one of the portfolio reviewers at Photo Lucida in April 2011 and it is a huge honour for her to participate at this level, in effect she has been called up from the “farm team” to hit in the major league. 10) What trends are you noticing in photography being exhibited and offered for exhiibtions? Well it depends on where you look, but for us the emphasis on contemporary photography challenges the divisions between documentary and fine art. Colour photography is playing a key role for many contemporary artists and for those working in B&W there is a lot of interest in fine traditional printing techniques. 11) What would be the dream exhibition you would each show? One that sells out on opening night! 12) If price was no object what print would you each buy? That’s tough, our list is pretty long, although (Quinton) I have always wanted a print of Avedon’s or Cartier-Bresson. 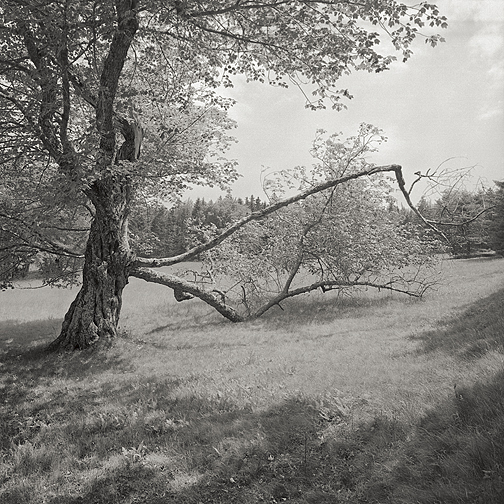 (Diana) I have an answer for a print I would buy – Harry Callahan, more like the collection – too hard to pick just one. Also the Yangtze project from Nadav Kandar has produced stunning images, that I would love to add to my collection. The thing is that we work with and appreciate so many wonderful contemporary photographers that it would be an insurmountable challenge to select just one… I guess if money was no object we’d choose to support many artists and collect several works. 13) What do you see for the future of the gallery? We work on our future every day, and frankly some days that means just figuring out how to keep it going. But aside from that it is a matter of getting to the point where we can consistently deliver the level of exhibitions, courses, and facilities we have in mind. We are adding more destination workshops and expanding our partnerships with other organizations such as Leica and Epson or festivals like Photo Lucida to facilitate growth. In terms of future expansion we would like to see this include more dedicated classroom space and a dedicated studio for teaching and rentals, a digital teaching lab and darkroom space. On the gallery front we are working to develop relationships with collectors so we can be more effective for the artists we represent. We are also very motivated to increase our publishing ventures both online and in print and I am working toward launching Lúz Journal, a magazine of photography similar in concept to Dispatches or burn magazine founded by David Alan Harvey. 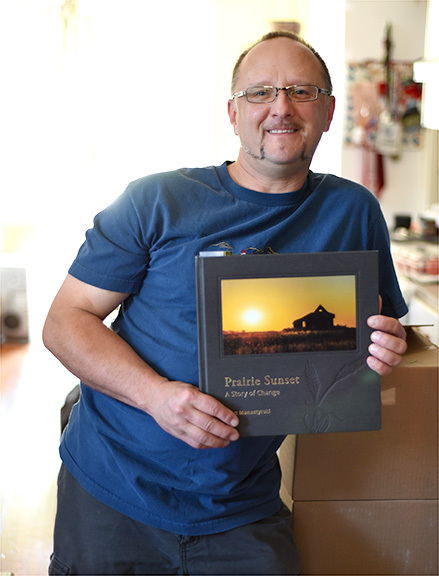 We will initially publish online but I am a huge advocate of print and this remains my ultimate goal along with more publishing collaborations with our photographers to produce limited edition books. We have ideas about introducing memberships or raising more funds through donations of money or equipment – of which we have received some already – but to do all of this we need to expand our human recourses and this is happening slowly with Dave Aharonian and Karen Iwachow coming onboard. Eventually we will work to expand our facilities but with the high price of real estate in Victoria it will take sometime to get there.Rright now we have our sights set on trying to pay next months rent. 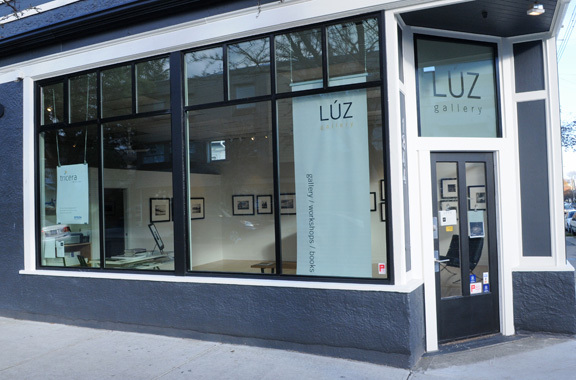 You can check out the Luz Gallery’s exhibitions and workshops here. 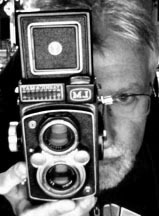 You can take a look at Quinton’s photography site here. 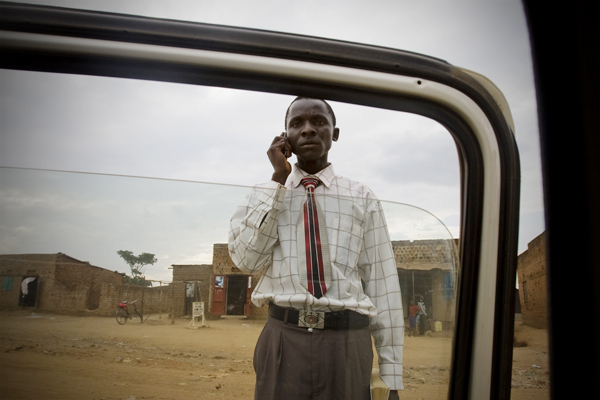 You can listen to a recorded interview with Quinton by Portland photographer Lauren Henkin at her Photo Radio site here. 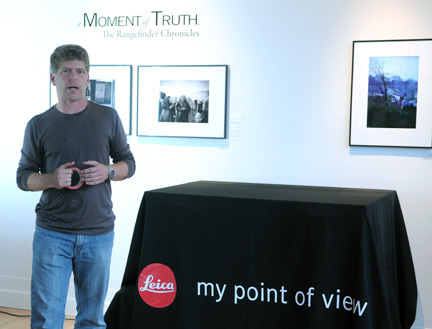 A busy night at Victoria’s Luz Gallery with the opening of the Moment of Truth, The Rangefinder Chronicles exhibition and a demo by Leica of the new S2 camera. Dr. Ted Grant with two of his photos, Pierre Trudeau and Jackie Kennedy. Photographer Troy Moth sets up for the Leica S2 demo. 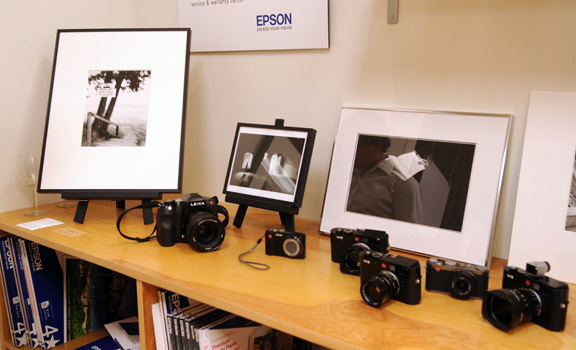 My photo in the show, at left, with Leica cameras. 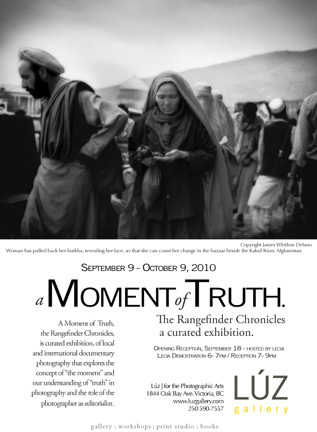 This coming Saturday, September 18, Luz Gallery will hold the opening for their latest show, a group exhibition entitled A Moment Of Truth, The Rangefinder Chronicles. It’s a group exhibition and I have have an image in the show. I’m really excited to be showing with photographers George Webber, Donald Weber, James Whitlow Delano, Ted Grant, Quinton Gordon, Lauren Henkin, Ryan Gauvin, Duane Prentice, Jamie Drouin, Federico Vanolli, Demetrious Tsimon and Mike McLean. The exhibition was curated by Diana Millar and Quinton Gordon. Spent Saturday learning about the ins and outs of the world of grants in another Luz Gallery sponsored workshop with Donald Weber. It was all interesting and it was a busy and intense day with a great deal of information being offered. The bottom line though, is that like most things in life, there’s a lot of work and time involved in the process. Anyone looking for or expecting information that will result in a quick handout of cash would have been very disappointed. There is the thought as well that if we’re all starting to pursue the grant world as an alternative to the disappearing editorial market, won’t the grant world become more of a challenge to access? It’s not like there are a huge amount of new grants appearing every year but more photgraphers are applying for the existing grants. It’s all food for thought though and each photographer has to try and figure out how to blend all the elements of the photo world to make it work for them. It’s great to see local photographers putting together workshop and gallery spaces for photography. In New Westminster Brian Howell and Evan Seal have opened up Studio 42 and in Victoria Quinton Gordon’s Luz Gallery programs will get underway this fall. 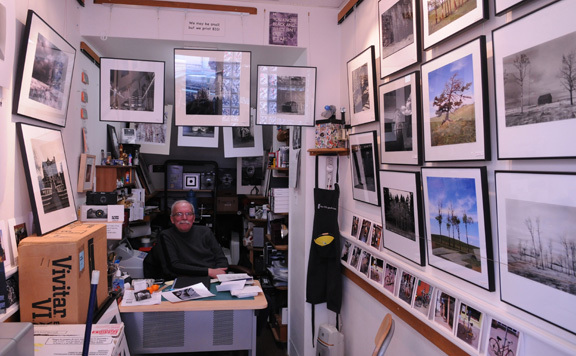 I noticed today that the first workshop at Gallery 42 , Brian’s session on the photo essay is already sold out, so much for a trip over to take that in next weekend, but great to see the support for the new space.